BRYAN EATON/Staff photo. 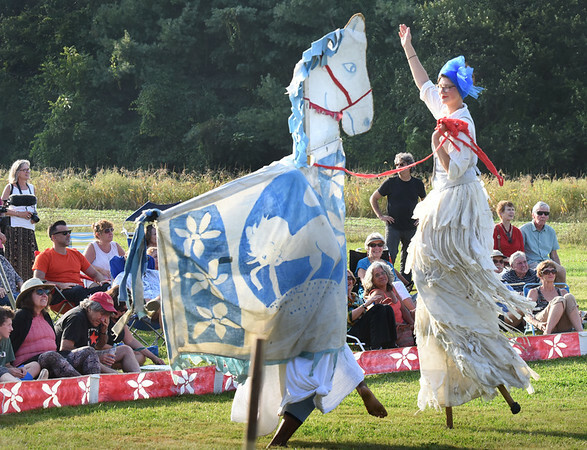 The Bread and Puppet Theatre from Vermont brought their "street-theater" brand of performance art combined with music, dance, slapstick and political satirfe to Spencer-Peirce-Little Farm in Newbury on Tuesday evening. Many of their show employs the use of giant puppets, many made of paper mache and cardboard.